Arkon has been one of the leading innovators for mounting accessories ever since the company was founded in 1988. We sat down with Aaron Roth, VP of Sales & Marketing, to learn how the company grew their business and where the industry is moving for mobile car mounts. For several decades the primary vehicle mount market was for portable GPS units. Arkon has a partnership with many of the major GPS brands to be the OEM mount that is offered to the customer. But in recent years, the need to mount smartphones and even tablets is advancing the company’s product line in a new direction. 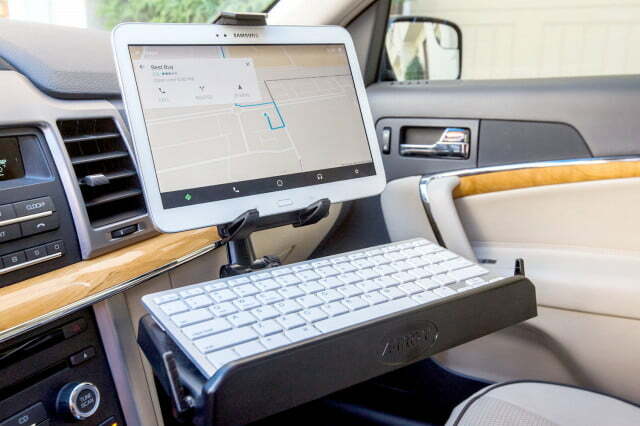 Many business now need a mobile office with easy access to smartphones or tablets in their vehicles to keep track of information and stay connected on the road. 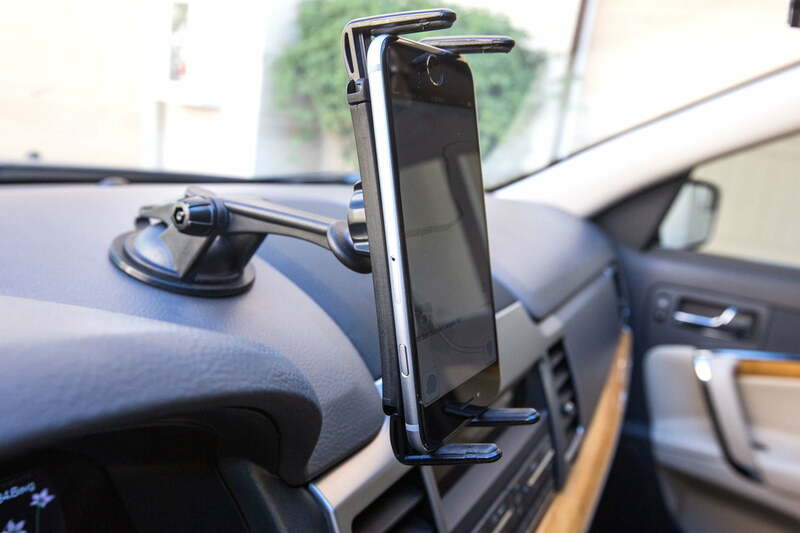 We took a look at several of the most popular new car mounts from Arkon for a hands on review. One of the biggest innovations that Arkon has made is the use of the 3M sticky mounting pad to attach the mount to any interior or glass surface. Gone are the old weak suction mounts. Now, the new mount uses polyurethane gel and suction to give an incredibly strong grip. The pad leaves no sticky residue on interior surfaces and can be reused once you clean the pad with a mild liquid soap and warm water. Simply air dry it, and it’s ready to reapply to a new surface. Many of the phone mounts include 8 swappable legs, 4 long and 4 short, that can be interchanged to find the perfect fit for nearly all sizes of smartphones. I was able to use 2 short and 2 long to perfectly fit my iPhone 6 and Moto X (2014). The legs have a rubber grip and make it easy to slide the phone in and out at an angle to quickly attach and detach without much effort. At times it seems that the phone shifts in the grip of the legs but I never had issues with the phone wanting to fall out or drop from the mount over rough roads. This mount became my primary phone mount in my car due to the ease of getting the phone in and out of the mount and the strong suction under high heat. 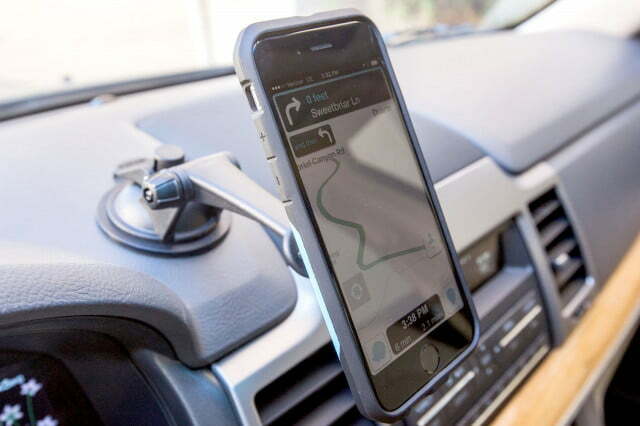 Arkon has a solution for an even quicker way to attach and detach your phone to your mobile mount. This kit includes a circular and rectangular magnetic plate that can be attached directly to your phone or to the interior of a phone case for mounting. The phone can then simply be attached magnetically to the suction mount in the vehicle. The mount itself can be attached with the suction to the interior or you can mount a plastic disk included in the kit for a better mounting surface. Arkon recommends that you don’t mount phones and cases weighing over 6.3 ounces due to limits with the magnetic strength. I tested with an iPhone 6 (4.5 ounces) and a heavy case (3.5 ounces) and the mount would hold but a good bump would shake it loose. A Samsung Galaxy S3 with a lighter case had no issues mounting and staying secure through any shakes and bumps. 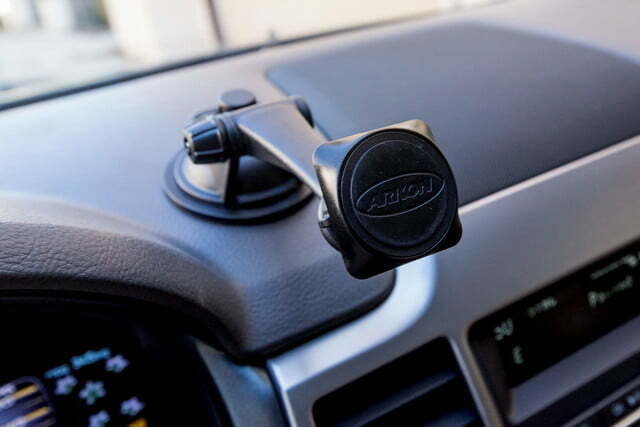 A magnetic mount that clips to your car’s air vents is also available for those who want to avoid suction mounts. 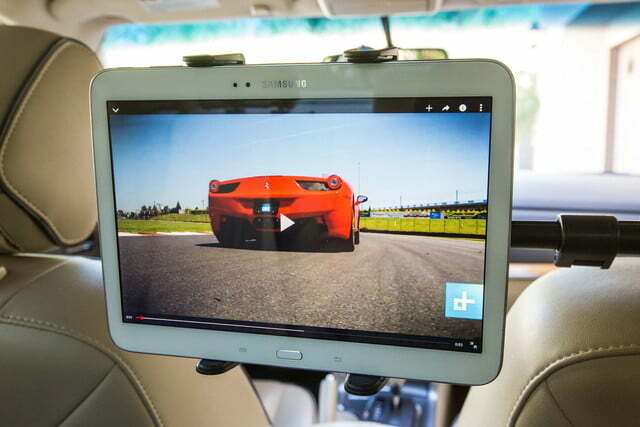 One of the biggest modern uses for our tablets is for in-car entertainment. Nothing keeps a long car ride quieter than a few hours of pre-loaded child entertainment. Arkon realized the demand and has created a mount that attaches to the headrest and extends to mount the tablet in-between the front seats. They also sell a mount that sits directly behind the front seat for a single-viewer experience – if you leave your other one and one-half kids at home. 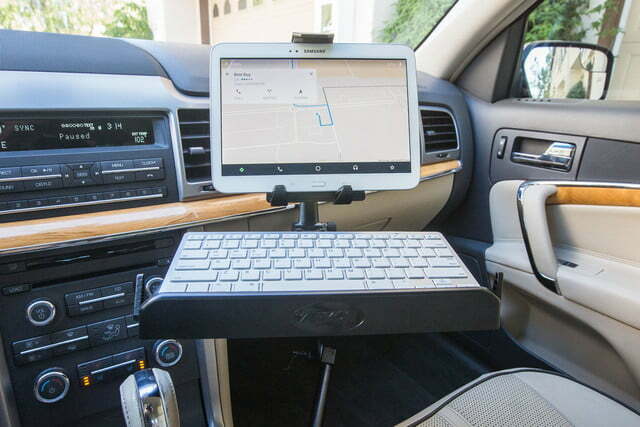 Mounting the tablet extension device is simple and involves opening the two clamps and adjusting them to fit around the two metal rods that connect your car’s headrest. 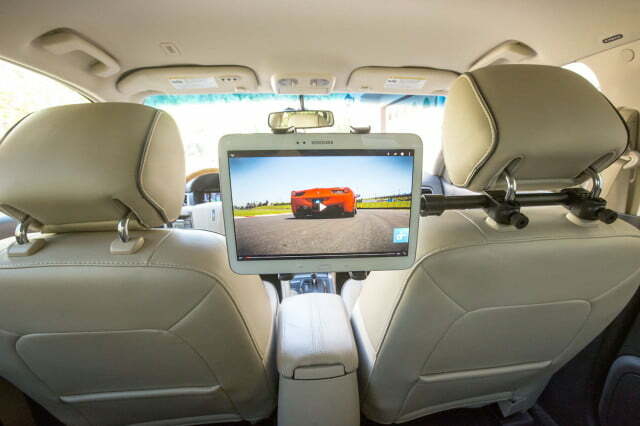 Once clamped into place you can easily mount nearly any tablet with the various sized “legs” and extend the mount to the perfect viewing angle for all back seat passengers. The mount holds the tablet firm and there was only slight movement over the most jarring potholes. One of the largest growing markets for portable tablet mounting in recent years has actually been a business application. Companies are now having their drivers use tablets to track deliveries and input information (while stationary of course). Arkon has created a convenient mount that holds both a tablet and a bluetooth keyboard to ensure your business can stay mobile. Installation for this mount is slightly more involved than any of the other tablet or phone mounts. Arkon includes a mounting point for the pivot ball that needs to be attached to the seat rail on the passenger side. In my 2012 Lincoln MKZ Hybrid, the seat rail bolt required a Hex Socket to become loose enough to slip the tablet mounting point on the rail. Once the mounting point is installed, the swivel arms, tablet mount, and keyboard stand are easy to install and remove when you need a passenger in the front seat. The mount is made of quality materials and has plenty of rigidity to keep from completely shaking around during driving. It does move a bit under rough roads and Arkon recommends strapping it to the glove compartment or another part of the interior trim for more stability. 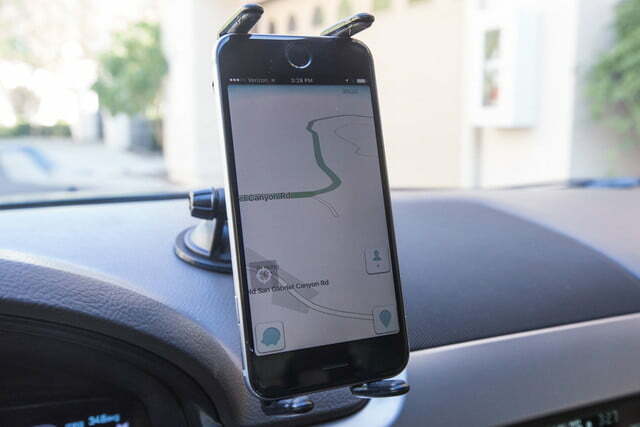 Mobile car mounts have always been the solution for displaying everything from navigation to back up cameras to radar detectors. With the growing market for smartphones and tablets, it is nice to see that the industry still offers simple ways to display our devices without modifying the car from its stock interior. Arkon has stayed ahead of the curve to offer perfect solutions for both consumers and businesses looking for convenient access to their tablets and phones. The complete Arkon catalog is full of solutions to help you mount all your devices inside your car, motorcycle, or anywhere else you can dream up.